The Amerock BP29393ORB Extensity 5-1/16in(128mm) CTC Pull is finished in Oil-Rubbed Bronze. Extensity features beveled curves and a stately arc. The Oil-Rubbed Bronze finish is a rich, dark brown old world finish with striking light and dark accents. The AmerockBP36585PN Carolyne 5-1/16in(128mm) CTC Pull is finished in Polished Nickel. Elegant beading adds visual interest to our Carolyne collection; making each piece exquisite. Bright and polished or strong and subdued - you'll have your pick of gorgeous and stately finishes with this selection of knobs and pulls. A modern metallic finish, Polished Nickel offers the beauty and luster of sterling silver without the cost or care it takes to maintain. Extensity 5-1/16 Inch (128mm) CTC Pull - Oil-Rubbed Bronze The Amerock BP29393ORB Extensity 5-1/16in(128mm) CTC Pull is finished in Oil-Rubbed Bronze. Extensity features beveled curves and a stately arc. 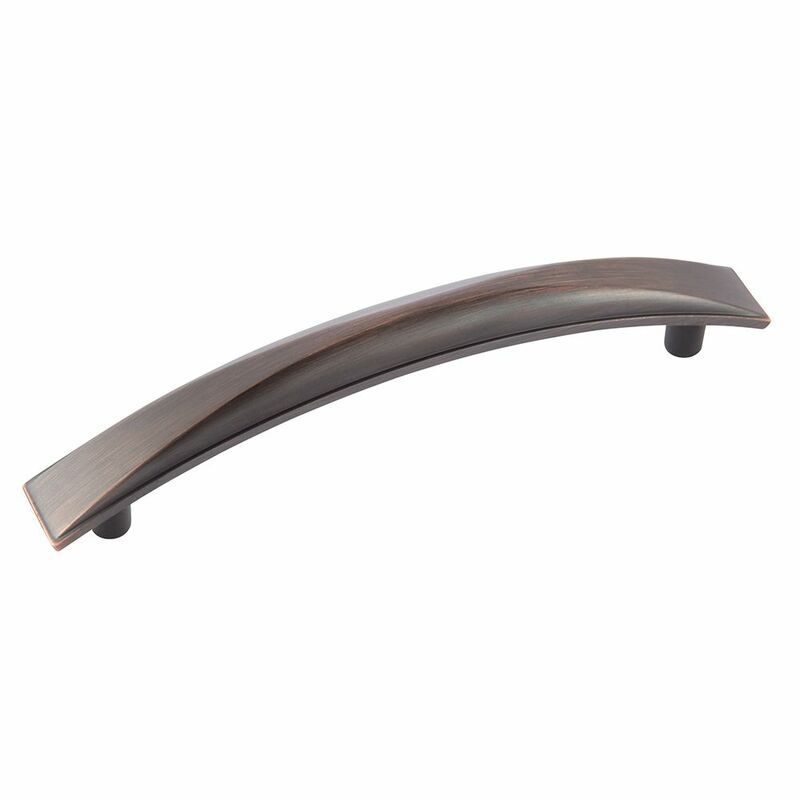 The Oil-Rubbed Bronze finish is a rich, dark brown old world finish with striking light and dark accents.